This bush isn’t called the beauty bush for nothing. 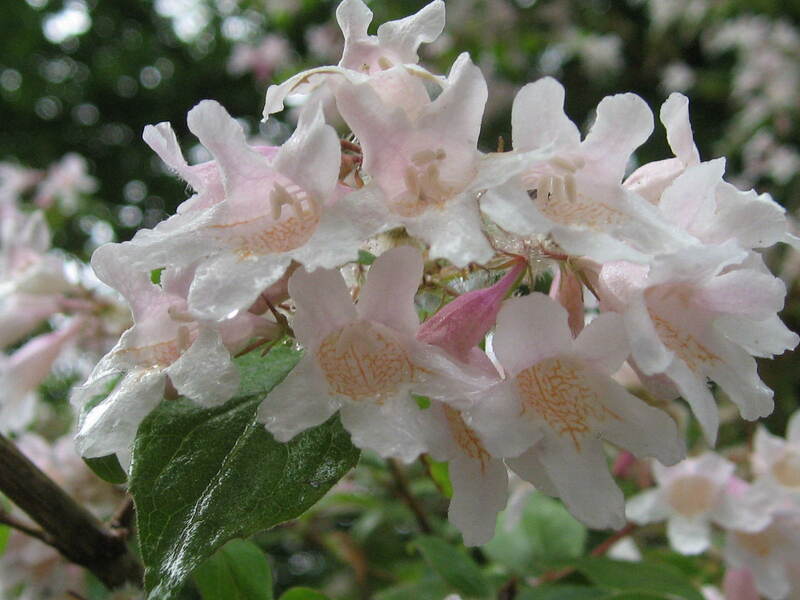 In full flower, Kolkwitzia amabilis is simply stunning with its mass of pale pink trumpet like flowers. 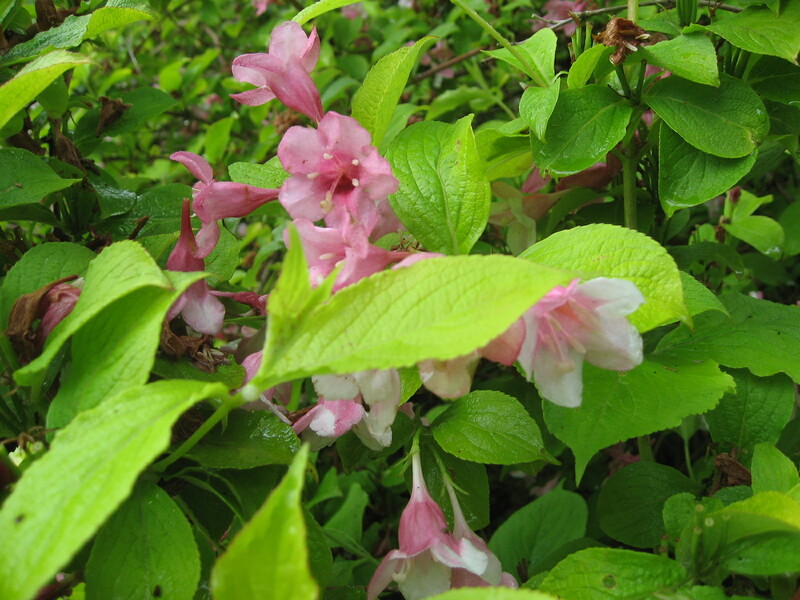 Kolkwitzia amabilis is a medium sized shrub that belongs to the same family as honeysuckle and abelia but has a far more subtle scent . It was first collected from its natural source in China by the famous plant collector Ernest Wilson. The flowers growing in bunches are amassed during late spring and early summer. 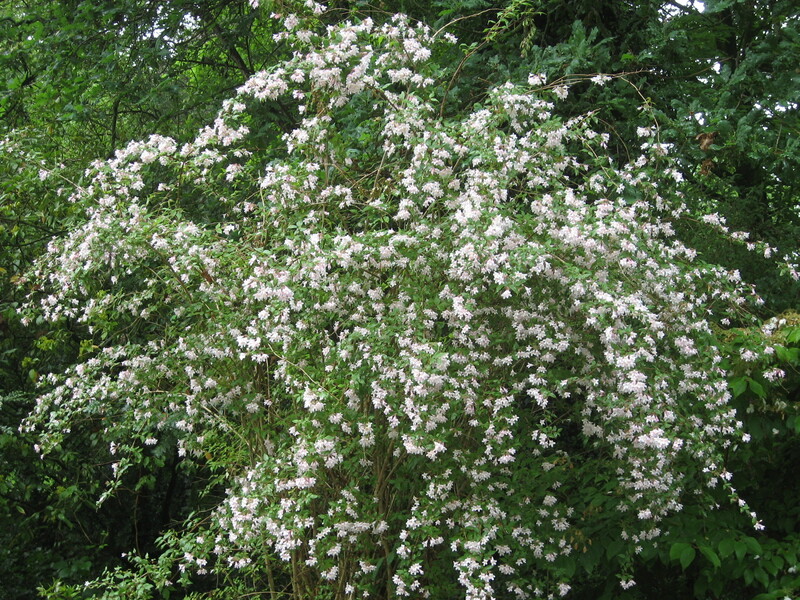 The award winning variety and the most commonly found in nurseries and garden centres is ‘Pink Cloud’ which has rose pink flowers with a yellow throat. Ideally, it should be planted in full sun but can cope with partial sun and is happy with most soil conditions. 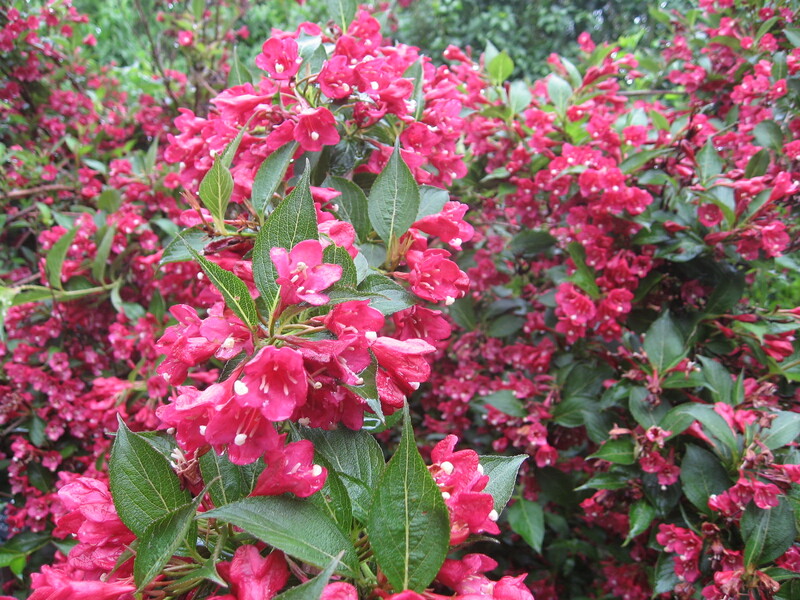 June is really the month for shrubs with trumpet shaped flowers. Along with Kolkwitsia, the Weigelas are a highlight this month. 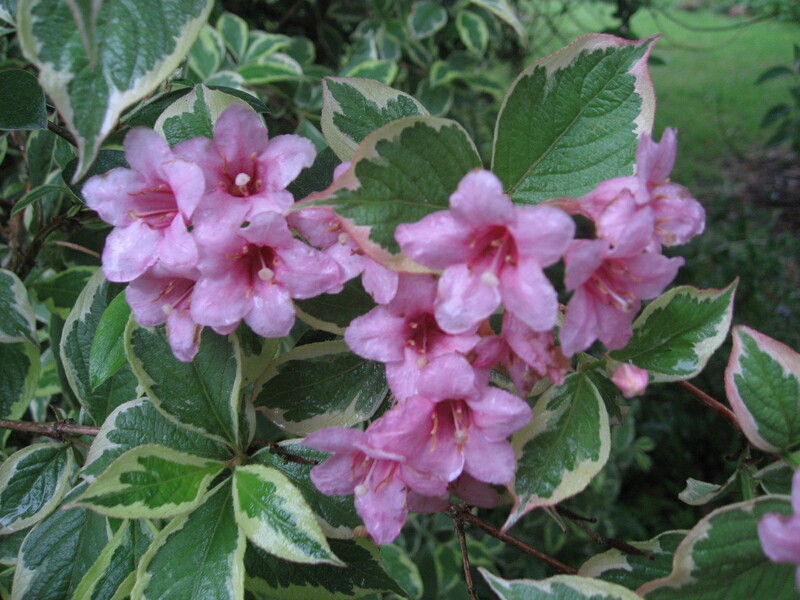 The variegated version of Weigela is excellent if planted behind a dark red leaved Acer. Another trumpet flowered shrub in full bloom at this time is Lonicera alpigena – one of the shrub honeysuckles. 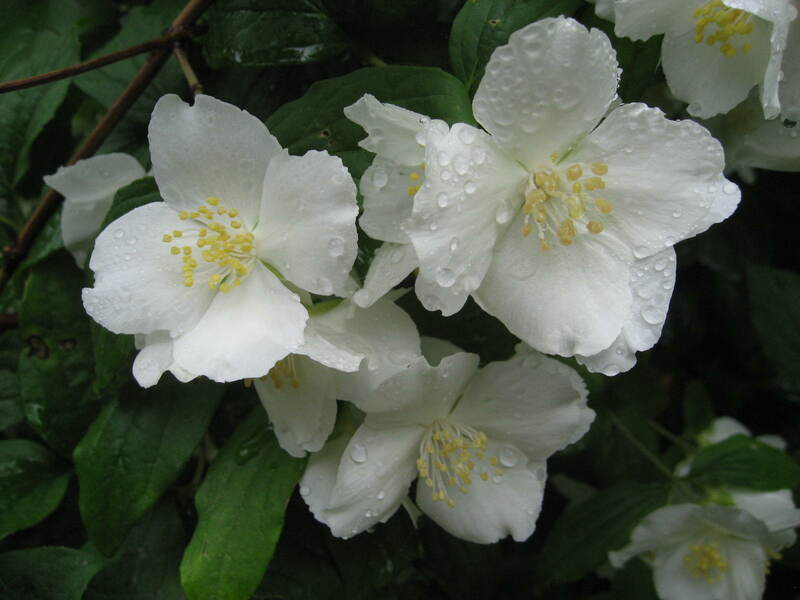 Although with a less of a trumpet shaped bloom you can also enjoy Deutzia’s mass of delicate white flowers – even in the rain!